Victoria’s Nancy Guldberg nurtures a love of nature. Look but don’t touch is a phrase that most kids are used to hearing when it comes to visiting a fancy place with trinkets and fragile flowers—but not at Master Gardener Nancy Guldberg’s home in Victoria. She encourages her grandchildren to play in the gardens outside her home situated between Lake Minnetonka and Lake Virginia. 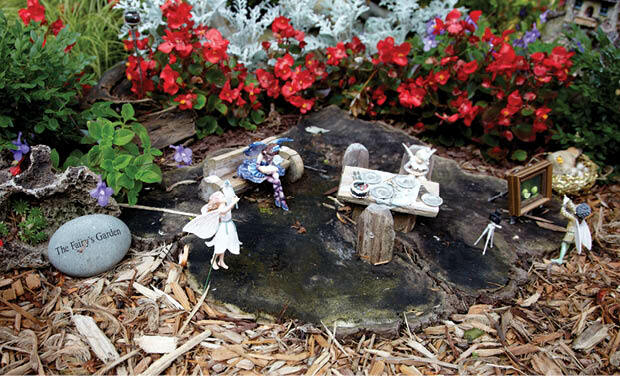 In fact, that’s what inspired her to create the unique miniature garden in her backyard, now a main attraction for guests both young and old. “I really wanted to get the little ones interested in getting their hands dirty,” Guldberg says. The square-shaped bed branches off a brick patio next to the deck and features a beautiful labyrinth-style design made with curved lines of red begonias separated by mulch to walk on, and a circular center featuring perennials and a playful cherub garden sculpture. “I selected the begonias because they grow together nicely and have a predictable grow pattern,” Guldberg says. The most interesting aspects of this garden, however, are the small vignettes sprinkled throughout that Guldberg designs in collaboration with her grandkids. Each year, she says, the scenes are a little different, but the enthusiasm for creating them and spending time in the garden remains the same. A closer look at these vignettes reveals miniature varieties of plants such as hostas and hemlock trees, dwarf spruce and low-growing herbs such as thyme—all carefully landscaped to complement houses, patios, furniture and accessories fit for tiny fairy and gnome figurines. Some popular themes include a campsite, a deck with Adirondack chairs, a Paris bistro and a gardening shop. One year, Guldberg recalls, her 15-year-old grandson, who had outgrown playing in the garden himself, explained to her that fairies were too girly, so he helped to plan a Jurassic Park-inspired dinosaur vignette for the boys. Part of Guldberg’s love for gardening stems from her own childhood. She grew up in Iowa, where she spent many years in 4-H and, along with her other sibling, tended to her family’s large vegetable garden. There is plenty of well-groomed green grass to keep the space open for optimal views, plus lush border gardens filled with several varieties of lilies, peonies and, her favorite: hydrangeas. 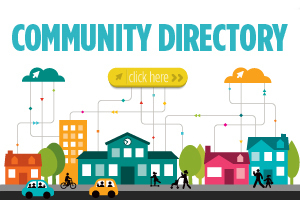 “I try to plan it out so that something blooms every season,” Guldberg says. She enjoys cutting fresh flowers from her gardens to bring indoors, and she also keeps several pots and containers filled with annuals on the deck and patio. During the winter, Guldberg and her husband travel to Florida, which has inspired her to start working with tropical plants, such as bird of paradise and elephant ears, in Minnesota. She brings these plants indoors during cold weather, of course. On more than one occasion, Guldberg has also built gardens in her yard specifically to help out family and friends that needed a place to house perennials while they moved. The front yard posed more of a challenge to landscape, as it’s sunken in and collects a lot of excess water. Guldberg’s solution was to create a rain garden filled with native plants that naturally soak up and filter the excess water in the area and reduce runoff. 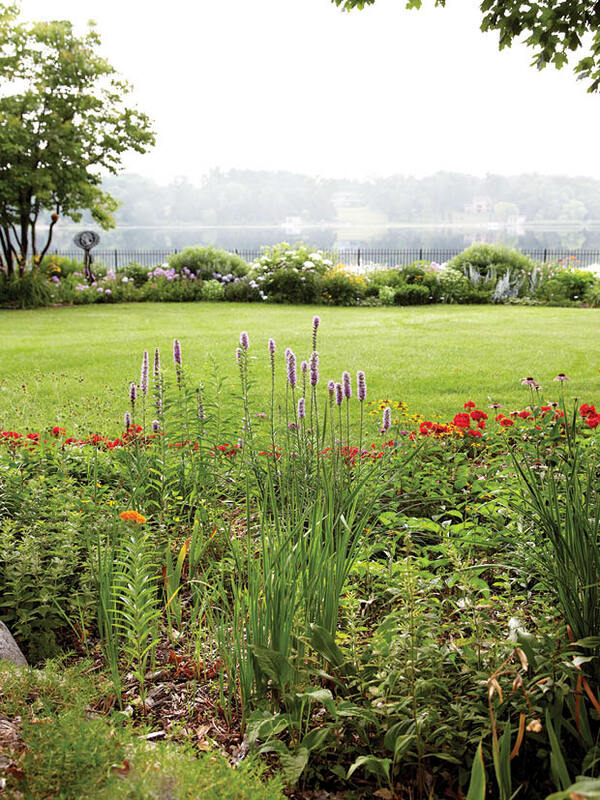 But to keep the front yard from looking too wild and weedy, something rain gardens are often known for, Guldberg chose to use many hybrid cultivars of the native plants. These are engineered versions of the natives with the same water-controlling qualities that are easier to contain. Her favorite is a cultivar of little blue stem, a grass that grows to about 4 feet tall. She also works with variegated palm sedge, lobelia and potentilla cultivars. Guldberg says her favorite place to sit and relax near her gardens changes throughout the day. Like most of us, she usually follows the sun, which rises in the front yard and sets in the backyard. 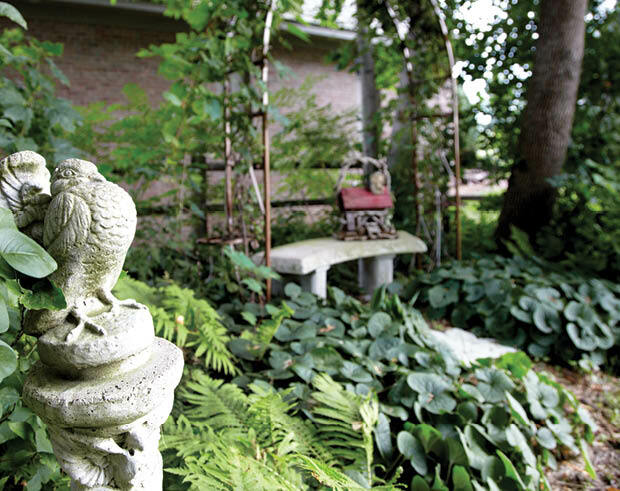 “It’s wonderful to be surrounded by nature,” she says, and her love for the outdoors shows in the gardens that she’s created and how she shares her passion with her grandchildren. Topiary: Find a topiary form at a garden center. Plant annual flowers, such as begonias, inside the form in layers using moss sheets and moisture-retaining soil. Stagger the plants in each layer, making sure that there is moss covering all gaps to hold in the soil. Be sure to use compatible plants, depending on whether your topiary will be in the sun or shade. Concrete stepping stones: Purchase a concrete form from a craft store; mix a small bag of Quikrete with water so that it’s the consistency of playdough. Add decorative pieces such as stones, words, etc., to the bottom of the form; then press the concrete into the form and allow it to cure. Once it’s cured, remove the form. Teacup bird feeder: Find a teacup and saucer, glue them together with exterior-rated adhesive. Glue a 1/2-inch PVC pipe cap or reducer to the bottom of the saucer; then attach the teacup assembly to the end of a 1/2-inch copper pipe that’s inserted into the ground.